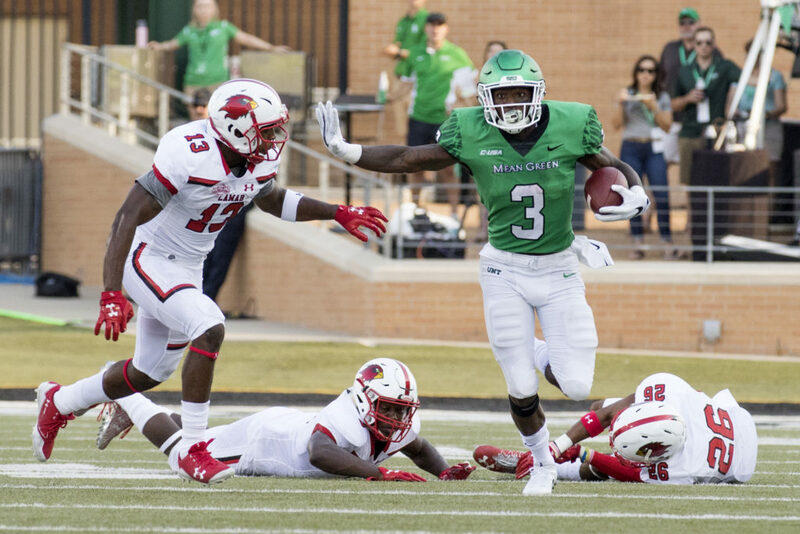 On media day during fall camp, new uniforms were debuted by the football team, much to the excitement and adoration of North Texas football fans. With 13 games in the books and one bowl appearance remaining, it’s safe to say the uniform combinations throughout the year lived up to expectations and did their job. 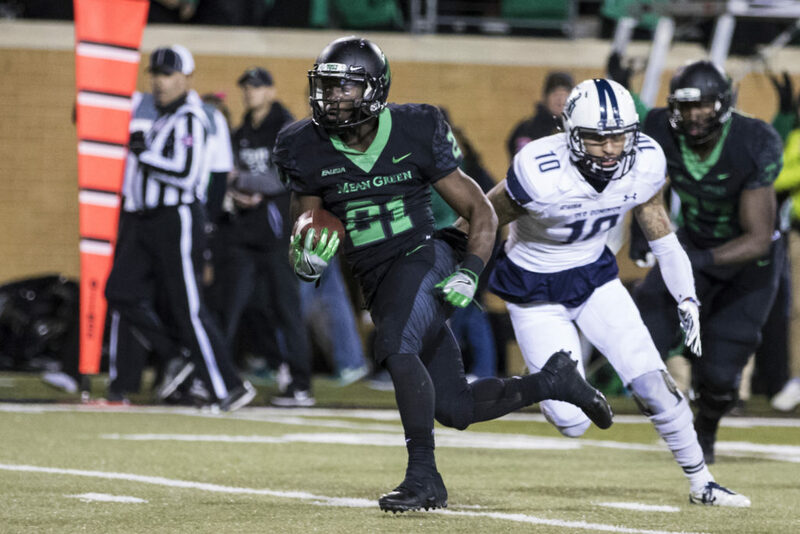 They created hype both within and around the team while ensuring that the Mean Green looked good while winning games. Now, it’s time to rank the 12 different uniform combinations we have seen this season. 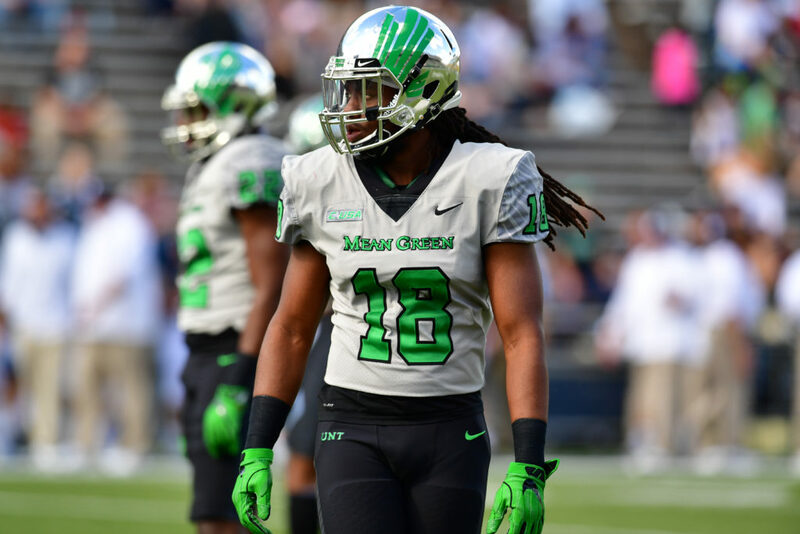 It is 12 instead of 13 because the Mean Green wore the same uniforms in the University of Alabama at Birmingham game as they did in the Conference USA championship game vs. Florida Atlantic University. 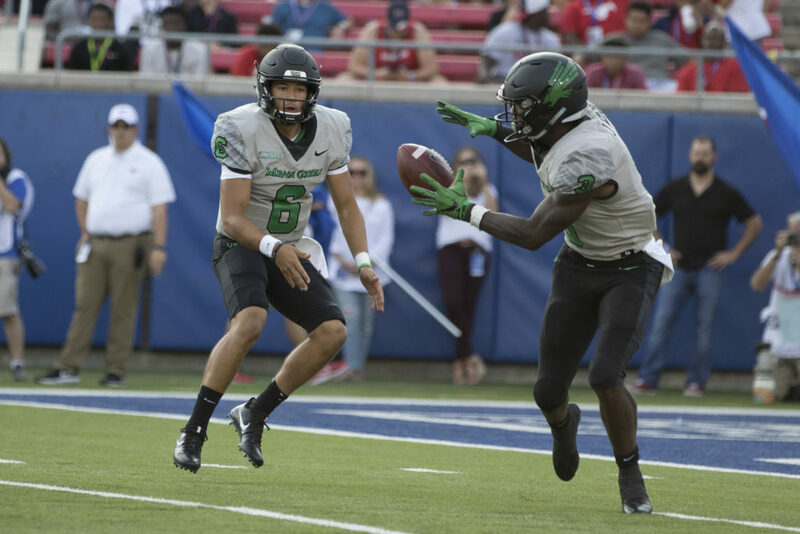 The only thing worse than losing by 38 points were those awful uniforms the Mean Green wore in this game against FAU. The green helmets are already my least favorite helmet, although the white jersey is not bad. But what is bad is the alternating pattern from green helmet to white jersey to green pants to white socks/shoes. 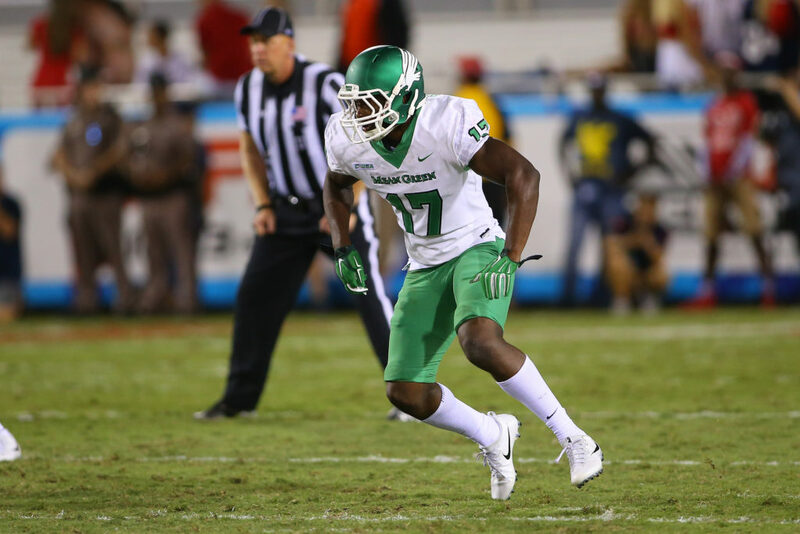 How much fun would it have been if North Texas had a game where they wore all green on the road? I am here for a color rush game, and it could have been against the all-red FAU Owls. The best ending of the season could only be dampened by one thing – a mediocre combination. The black helmet and jersey combination is always great, but the white pants threw me off too much. Surely someone had to wonder what green or gray pants would have looked like, right? The contrast was just too much, especially going against the University of Texas at San Antonio team that wore all white. 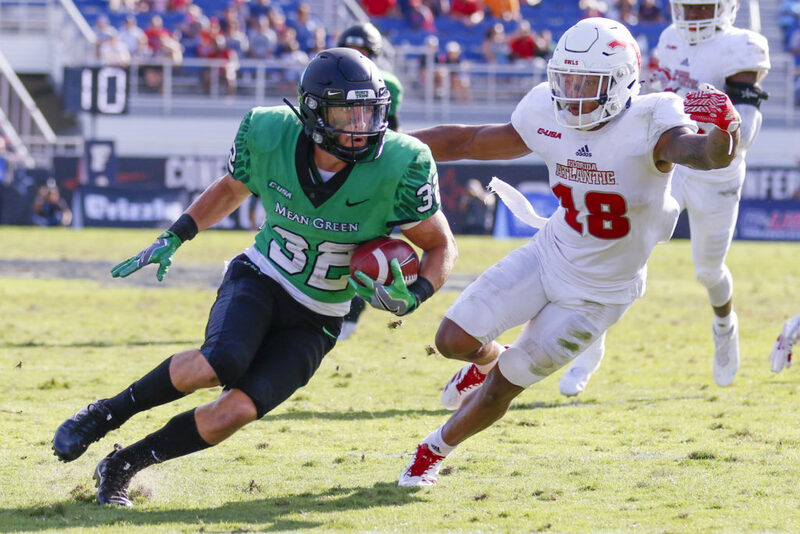 These are the uniforms the Mean Green wore both against the University of Alabama at Birmingham and in the C-USA Championship game against FAU. The black-green-black-black combination is really strong, but one thing takes this from a top five uniform to No. 10 – the white numbers. Now, there’s probably not even an alternative to the white lettering. Black is too dark, and gray would be weird, so I get the white numbers, they just do not go with the dark feel that the black and green convey. These really solid uniforms coming in at No. 10 show how strong this list is and how big of an improvement the program made this year. 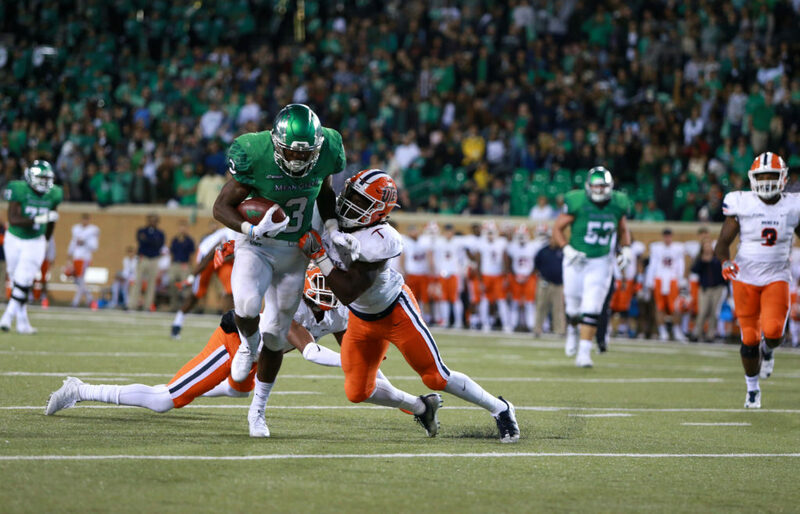 This year’s homecoming game against the University of Texas at El Paso showed the team in a green-green-white-white scheme, the same as their season opener against Lamar University. The only difference was in their helmets, which had chrome silver wings instead of a full white eagle. While it’s not a big change, the helmets just did not look as slick as they did in the season opener. Another reason they did not look as good was because it was a cloudy, ugly day outside which made the lighting less than ideal. I was initially concerned with how these would look, but once the game started, I knew these were solid uniforms. This was something different and they were fun to watch against the traditional uniforms Southern Methodist University wore in this matchup. Green gloves nicely complimented the green numbers on the side and the gray jerseys played really well with the black helmet and pants. The same uniforms as against SMU but with chrome helmets. I, personally, like the chrome helmets with this uniform even more than the black, and that’s saying a lot. What if they wore the chrome with gray pants and gray socks with green shoes … oh my goodness. Anyway, the chrome went well with the gray and the green wings subtly pop with the green numbers on the jersey. 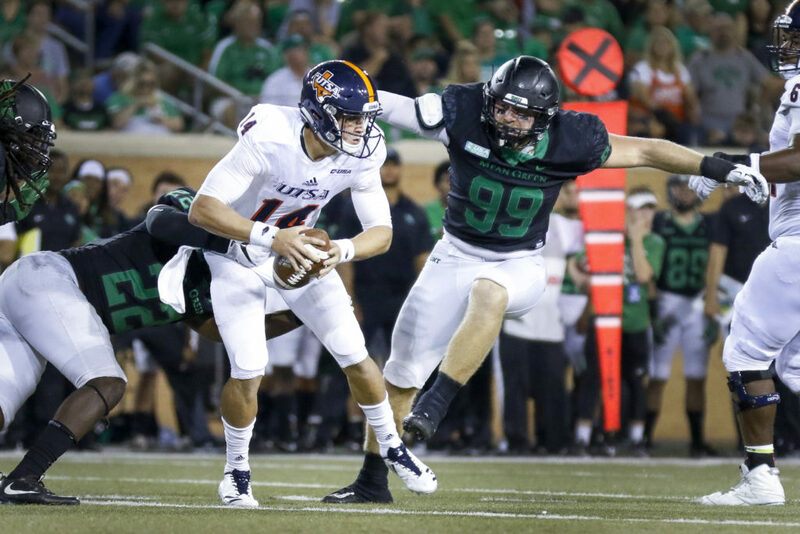 Also, the game against Rice University started at 11 a.m., which is a prime time for colors to pop as I learned in my photojournalism class – thank you, Professor Lochhead – earlier this year. The white helmets are easily the best helmets, and it was a great executive decision to not show the whole eagle on the side of the helmet, going instead with just the green wings. 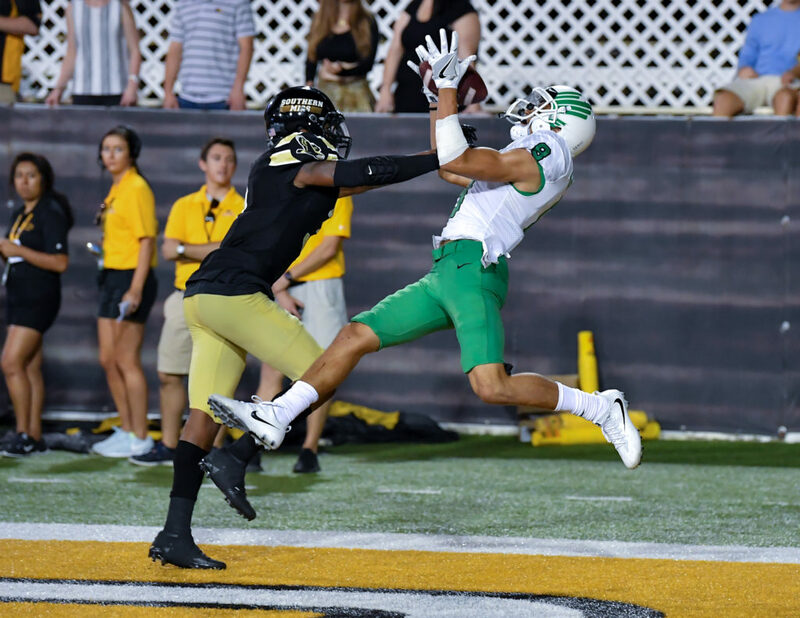 The jersey is clean, as you’d expect from white with green letters against the black and gold University of Southern Mississippi. I actually like the green pants, but I don’t love them. They keep it interesting and keep the colors balanced with the green lettering. The only white-green-white-white combination all season went over really well with the red, white and blue flag on the eagle on the helmet. I, for one, really liked the eagle and its color even if it doesn’t match the green. These uniforms were extremely well put together and I love this combination of helmet-jersey-pants-socks/shoes. 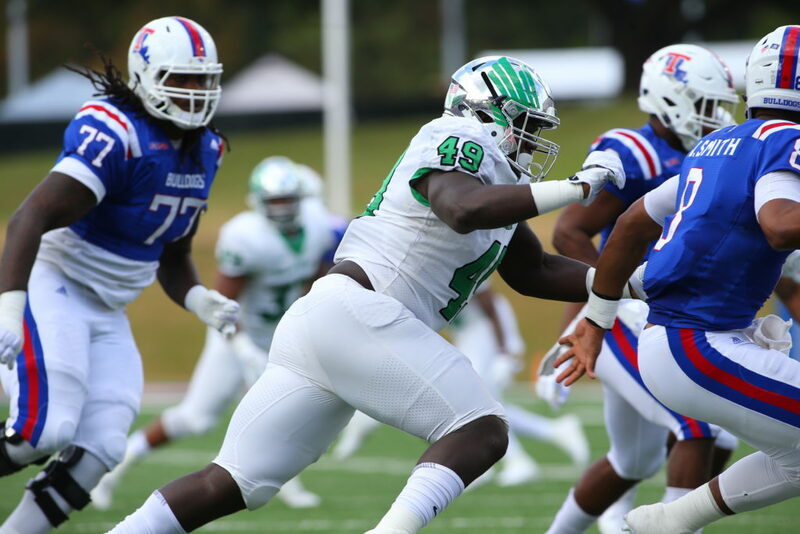 Louisiana Tech University was no match for the Mean Green when they came out in these ridiculously sweet all-white uniforms with chrome helmets. I was even surprised they went to this combination. Once again, the green wings correlated with the green numbers and the white was great, but the chrome just made it different – in a good way. Who doesn’t love all black uniforms? Especially on the weekend of Halloween. I love that they didn’t try to do too much and just kept it all black with green lettering and the green eagle on the side. I don’t really have much else to say. 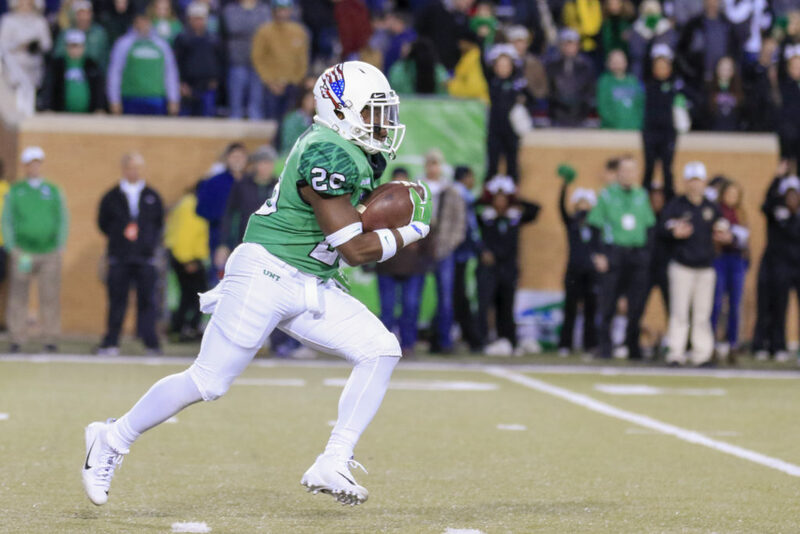 These uniforms are really nice and looked great going against Old Dominion University, which donned all white. It was perfectly contrasting to watch for 60 minutes. Green-green-white-white with normal helmets just looked perfect as the sun set on Apogee Stadium for the first time against Lamar. 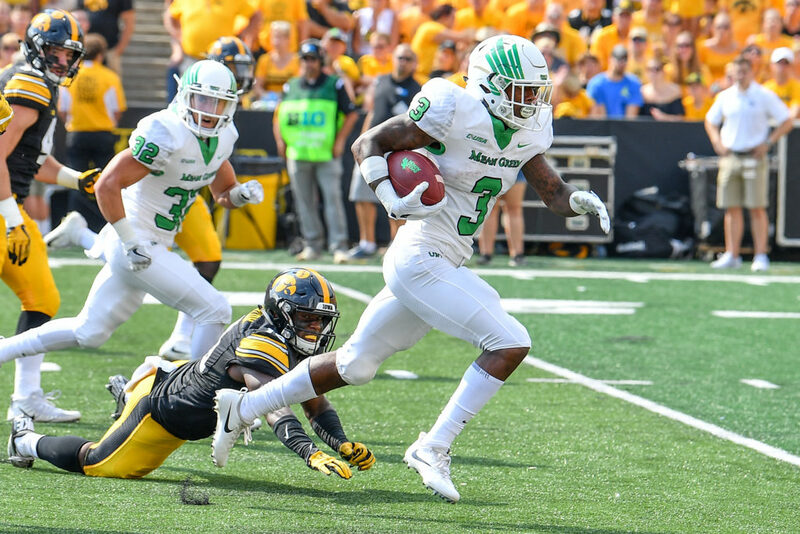 I know, I said the green helmets were my least favorite, but they just went so well with the jerseys and the white pants paired well with the white eagle. If they wore these every home game I would have no problem at all. Say hello to the all-white uniforms. These are absolutely perfect, and they’re better than most other all-white uniforms other teams wear because the green is soft enough to compliment the white without taking away from it. 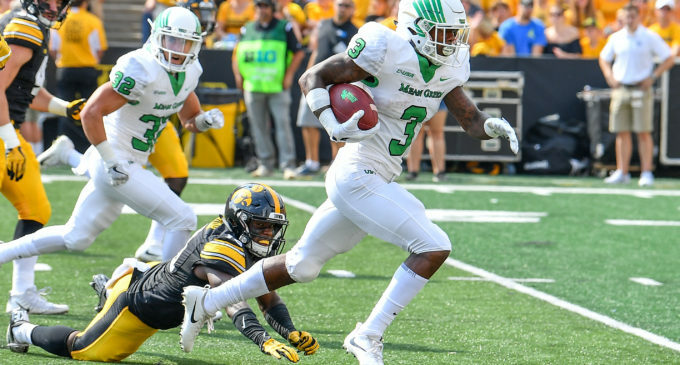 These uniforms are literally perfect, and it’s no coincidence the Mean Green led Iowa University through two and a half quarters. I don’t think I can stress how much I like these enough. 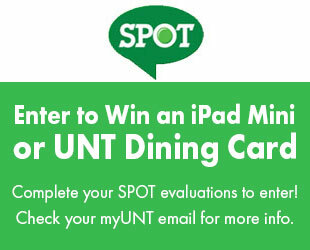 Matthew Brune is the Senior Sports Writer for the North Texas Daily, covering football and men's basketball.